Today is the birthday of Gabriel Sedlmayr II, sometimes referred to as Gabriel Sedlmayr the Younger (February 26, 1811-October 1, 1891). He was, of course, the son of Gabriel Sedlmayr the Elder, who acquired the Spaten brewery in 1807, when “at the time was the smallest brewery in Munich.” When his father died in 1839, the brewery passed to Gabriel and his brother Joseph, and the two ran the brewery for three years, until Joseph bowed out to start his own brewery, and Gabriel became the sole owner of the Spaten brewery. 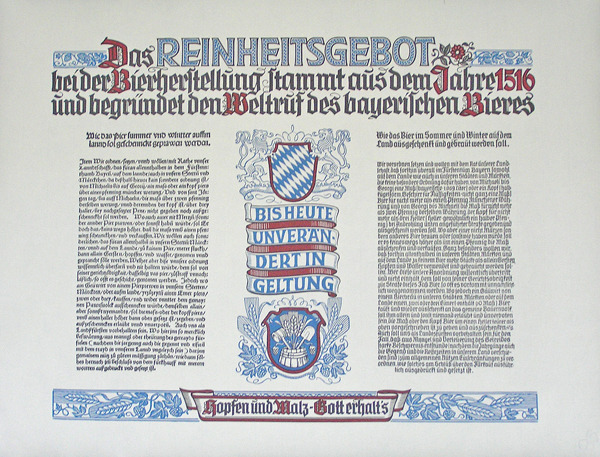 By 1867, it became the largest brewery in Munich, a position it held until the 1890s. 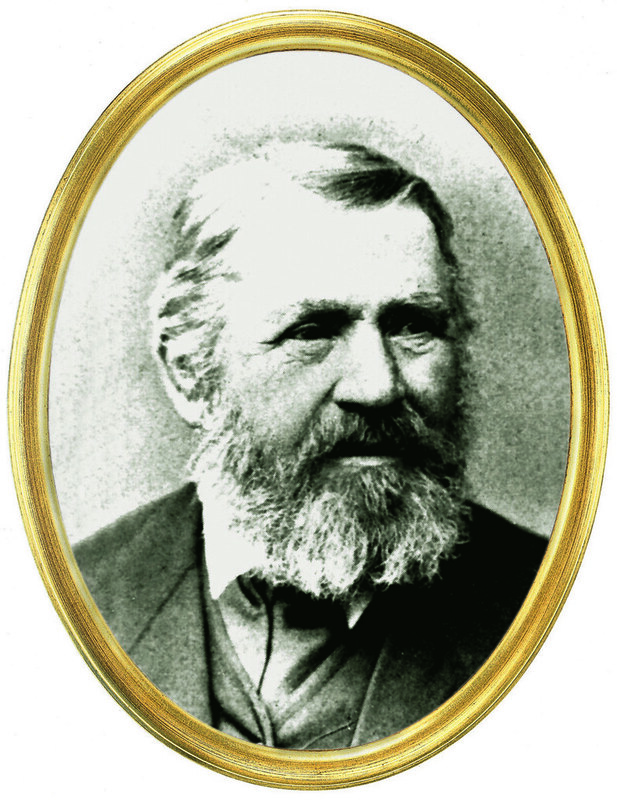 In 1874, Sedlmayr retired, and three of his four sons, Johann, Carl and Anton, began running the company. 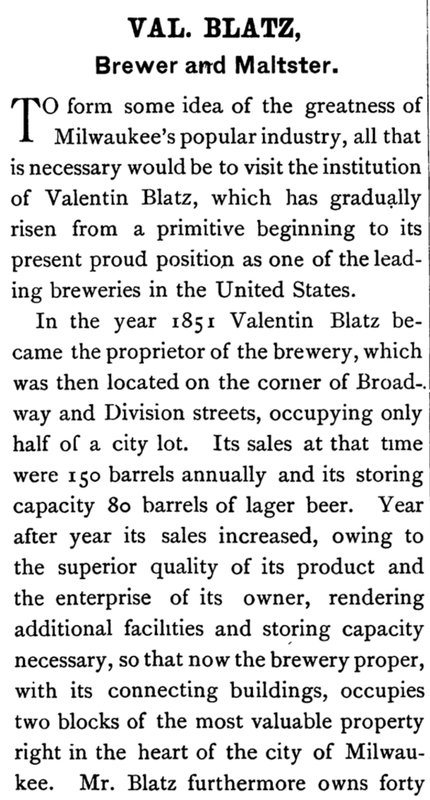 During his tenure at Spaten, he played a major role in the development of lager fermentation. Gabriel Sedlmayr II was born in Munich on February 26, 1811. He is often called Gabriel Sedlmayr the Younger. While in high school, he was given private lessons by Professor Johann Baptist Hermann in chemistry and physics. He graduated from high school and then began training in a brewery. He also traveled to European to visit and learn from different breweries, as well as local scientists. In Vienna he attended lectures at the Polytechnic of Vienna and in Berlin he attended chemistry lectures at the University of Berlin. He then took over his father’s brewery with help from his brother. 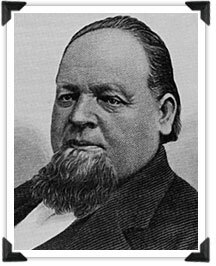 In 1842, when Joseph, his brother, left the business, he became the sole owner of the brewery. In 1866 he then opened up the Bavaroise Brasserie in Paris. Then he helped at and then eventually took over the Spanenbrau Brewery. He is responsible for developing a dark lager called Dunkel at his Spaten Brewery. 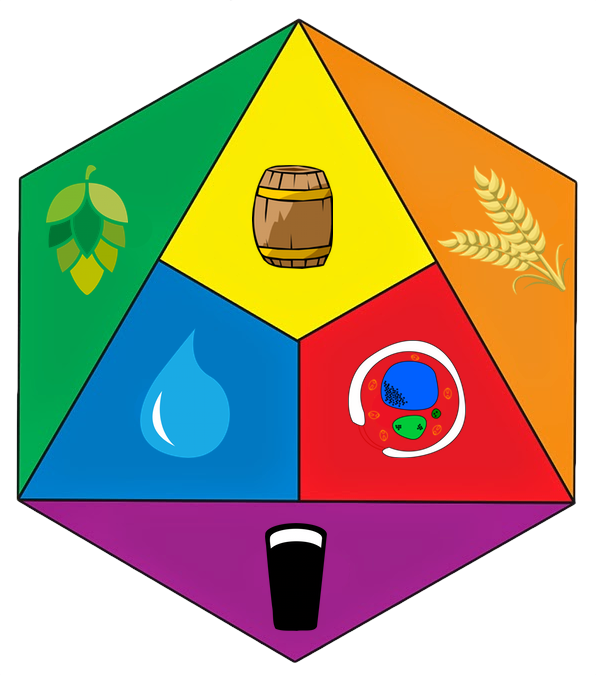 He was known for using science, microbiology, and cultivation to develop new beers. In 1874, he passed his business to his sons Johann, Carl, and Anton because of his poor health. 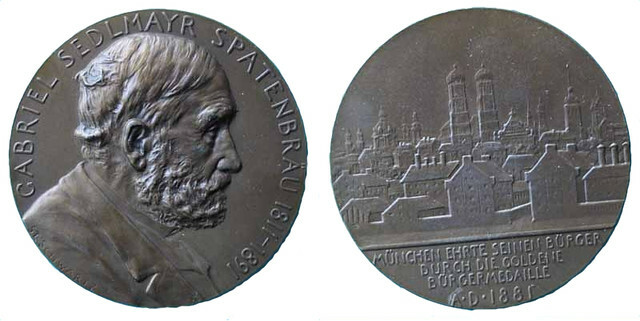 In 1881 he was awarded the Gold Medal of the City if Munich and then on October 1, 1891 he died. 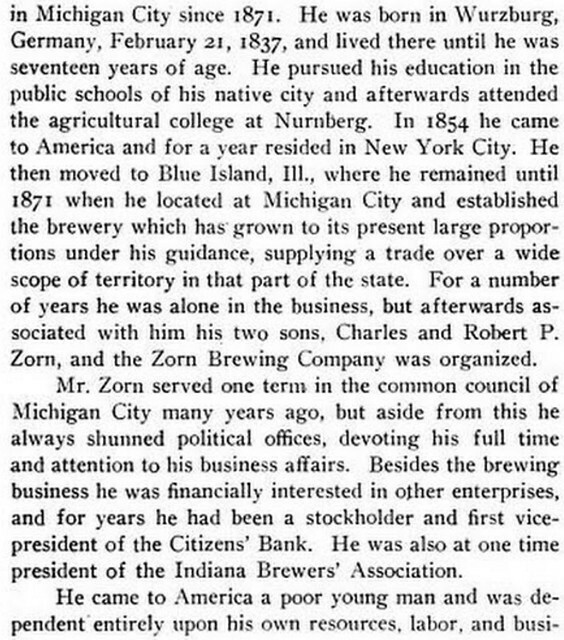 was a brewer who took over the reins of the Spaten Brewery of Munich, with his brother Josef, upon the death of his father, Gabriel Sedlmayr the Elder, in 1839. The two brothers inherited their father’s innovative zeal and, over the next few years, modernized the brewery at the same pace as their father had done before them. 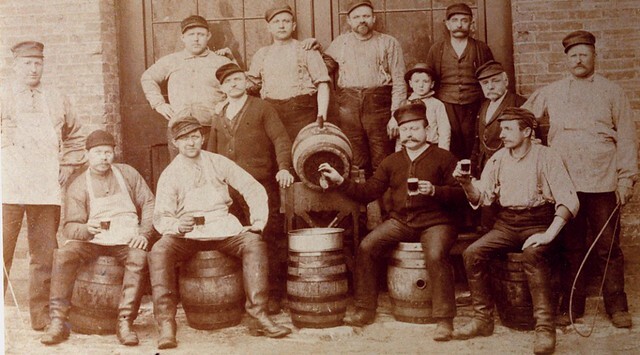 In 1844, Spaten became the first brewery outside England to adopt steam power. 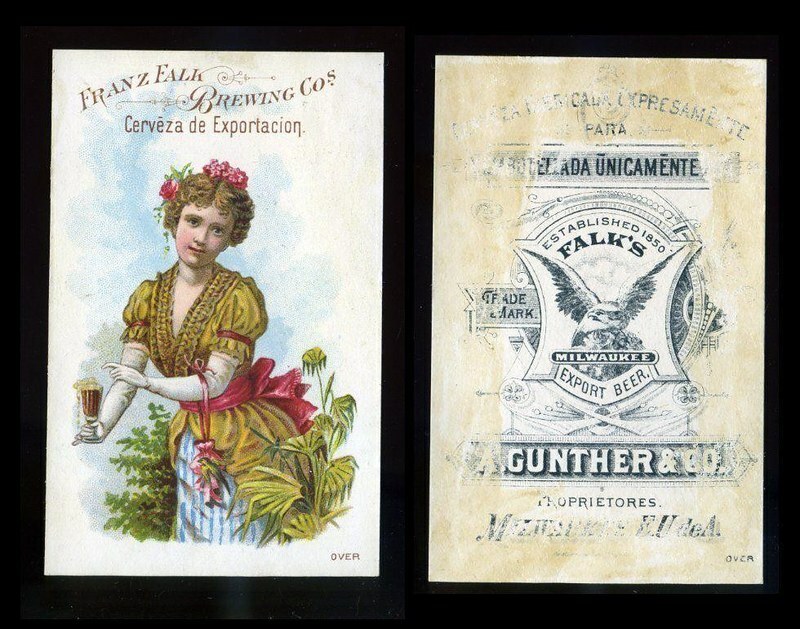 A year later, Gabriel bought out his brother and became the sole proprietor of Spaten, which would continue to be a center of brewing innovation. Already during his student days, Gabriel had been an innovator. 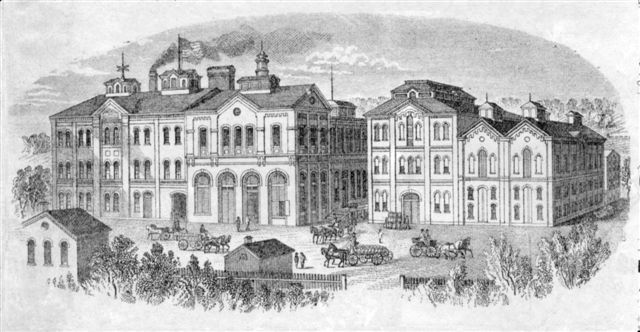 As part of the requirement for his Master Diploma, young Gabriel embarked upon an extensive grand tour of noted European brewing centers in the early 1830s. On one of his trips, he met fellow brewer Anton Dreher, whose mother owned a small brewery in Klein-Schwechat, just outside Vienna. The meeting, in 1832, marked the beginning of a life-long friendship and business association. 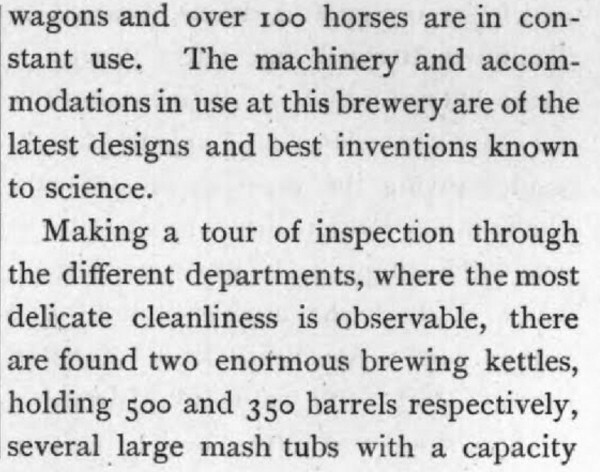 The two travelers visited Great Britain in 1833 to learn more about fermentation—and engaged in what can only be described as a classic case of industrial espionage. 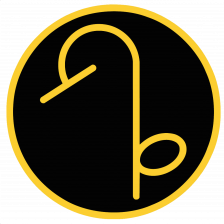 By using a specially modified hollow walking cane, they furtively gathered wort and beer samples during their brewery visits und subsequently analyzed them in their hotel. 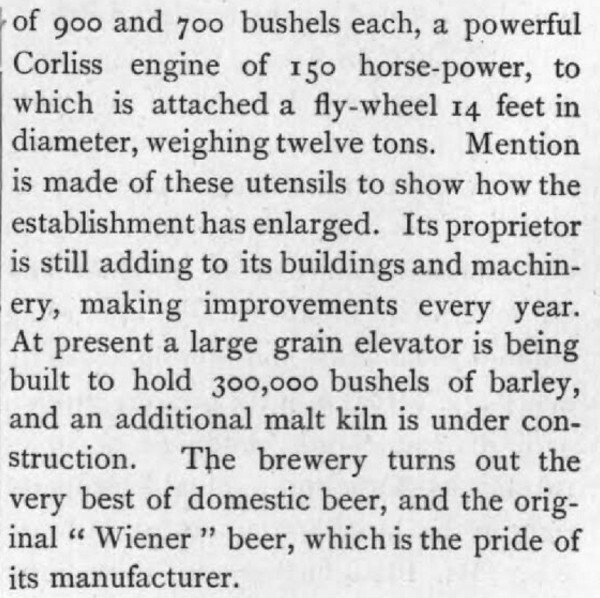 They put the data thus collected to good use after they had returned home by developing two new malts and two new beer styles: Dreher came up with Vienna malt and Vienna lager; Sedlmayr invented Munich malt and märzen beer. 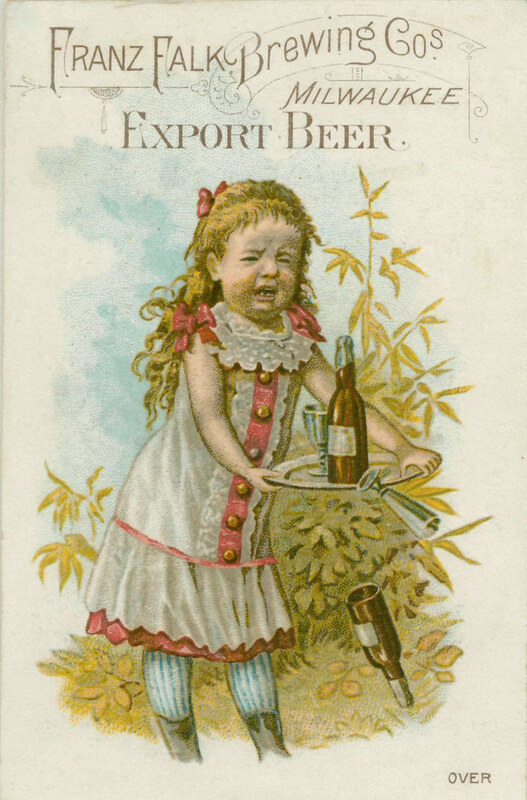 In those days it was difficult to brew lagers in the summer; the hot central European climate was inhospitable to brewing in general and lager brewing in particular. Brewers used ice blocks cut from frozen lakes and ponds in the winter and stored them underground for use as coolant in the summer. This was costly and inefficient. So Sedlmayr looked around for a technological solution, which he found in the work of a young Munich engineering professor, Carl Linde. 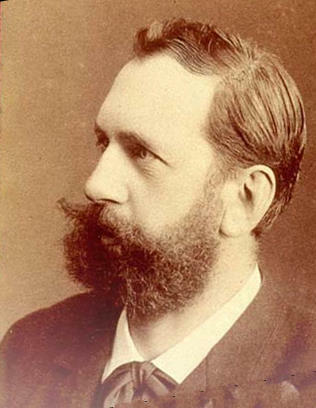 Linde had been tinkering with refrigeration machines, and in 1873, Sedlmayr persuaded Linde to install one of his experimental devices in the Spaten fermentation and lagering cellars. 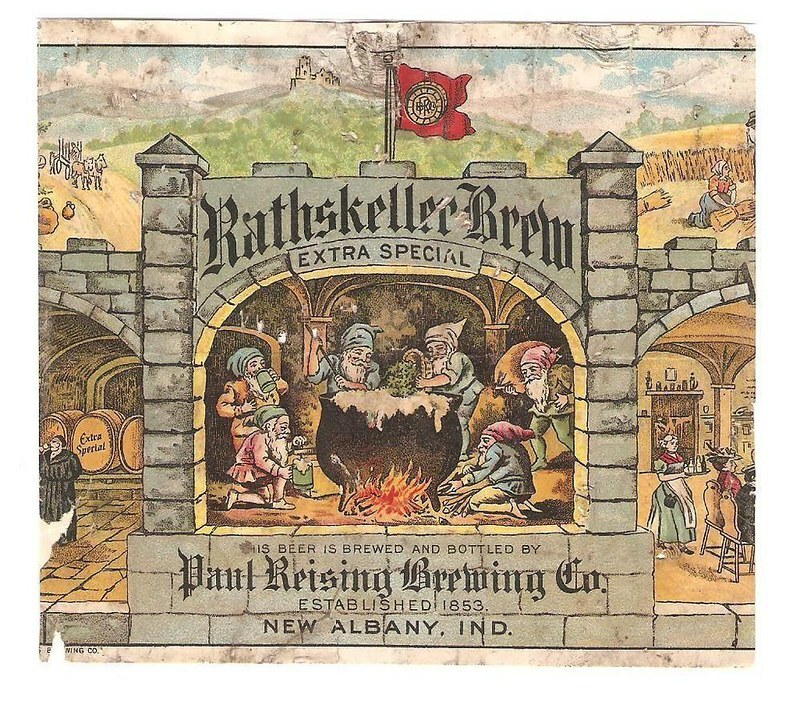 This was, as best as anybody knows, the first time that mechanical refrigeration had been used in a brewery, and Spaten was from then on uniquely equipped to brew bottom-fermented beer reliably year-round. 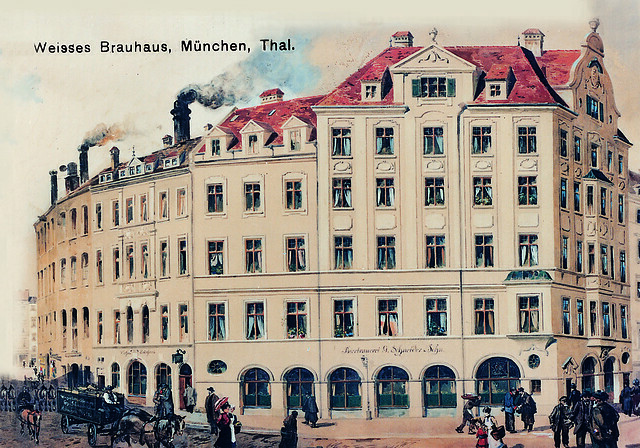 With this new technology in place, Spaten had become the largest of the Munich breweries. Spaten’s superb lager-making ability allowed it to experiment with ever more delicate brews, especially one that could compete with the rising popularity of the Bohemian pilsner from just east of the Bavarian border. 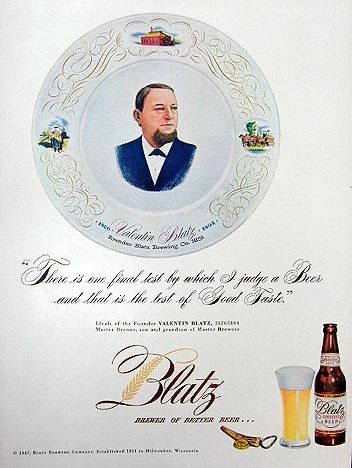 The result was the introduction, in 1894, of a straw blond beer, the delicate lager that was to become the signature brew for Bavarian beer garden and beer hall lagers for the next century, Helles. 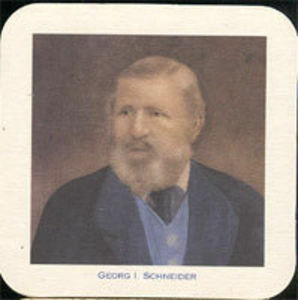 Today is the birthday of Georg Schneider (November 26, 1817-1890) who co-founded G. Schneider & Son along with his son Georg Schneider II in 1872. 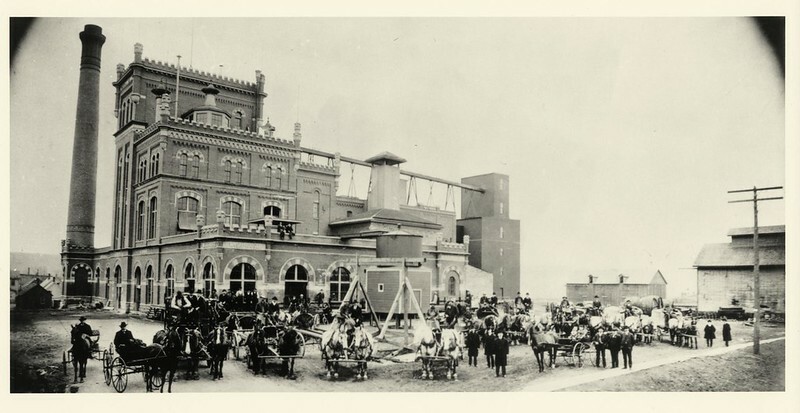 Georg leased the royal ‘Weisse Brauhuas’ Hofbräuhaus in Munich in 1855 and purchased from King Ludwig II the right to brew wheat beer in 1872. 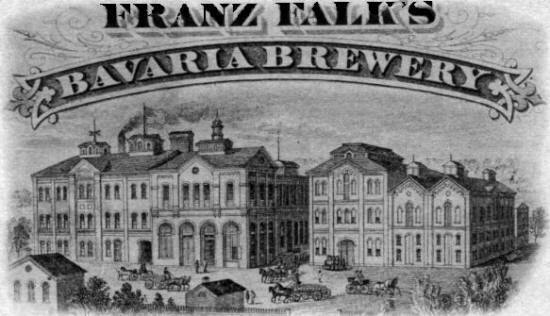 Georg, along with his son acquired the so-called Maderbräu Im Tal 10′ in 1872. 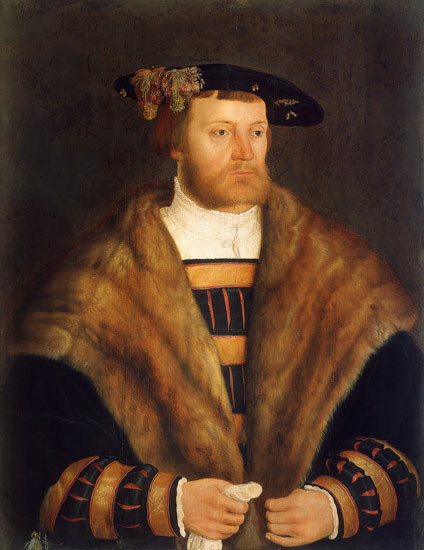 Both he and his son passed away in 1890, and his grandson, Georg III, took over the brewery even though he was barely 20 at the time, and today George VI still owns and runs the brewery. The history of wheat beer is also the history of the Schneider brewing family and its famous Schneider Weisse. 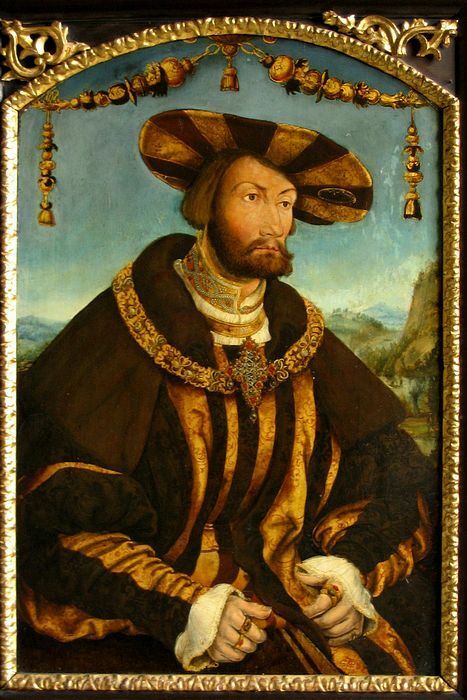 Georg I Schneider, as the wheat beer pioneer and creator of the Schneider Weisse Original recipe (which is still used today), is revered by all wheat beer connoisseurs. 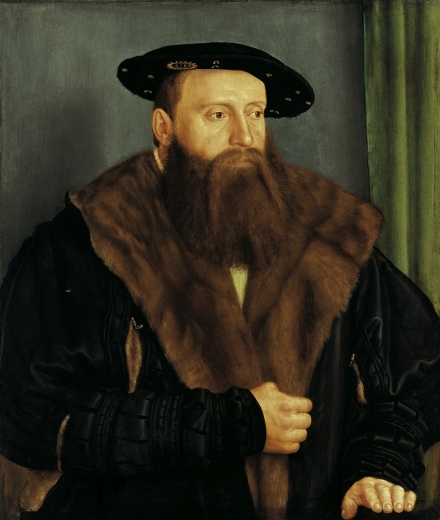 Two-hundred years ago, wheat beer could only be brewed by the Bavarian royal family in their reweries. 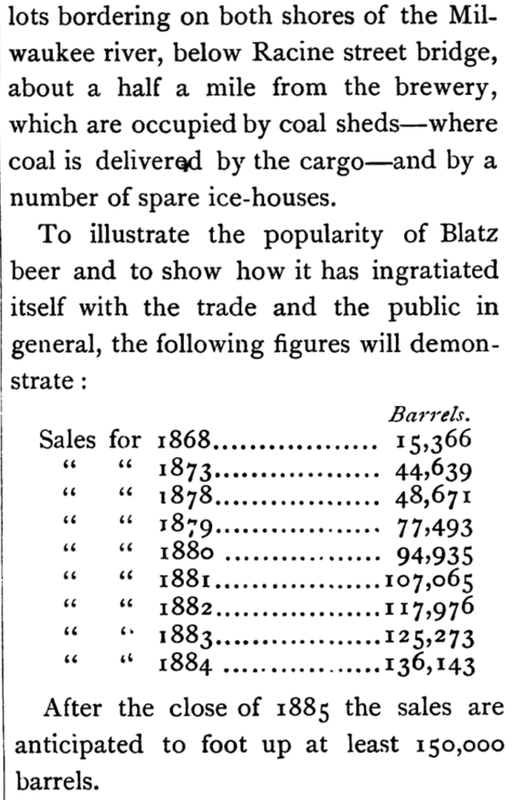 In 1872, King Ludwig II discontinued brewing wheat beer due to a steady decline in sales. 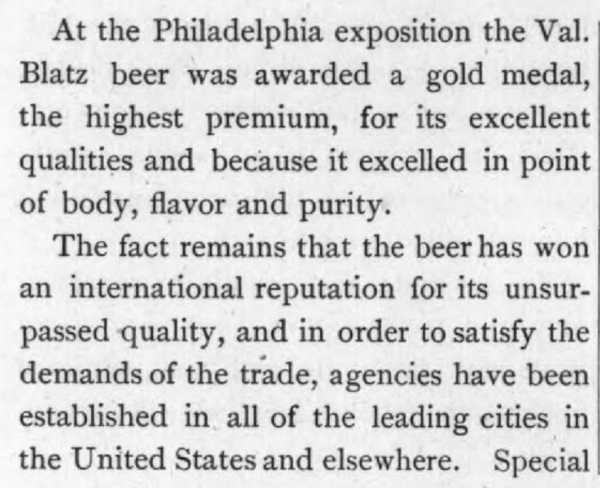 That same year, he sold Georg I Schneider the exclusive right to brew wheat beer. Thus, the Schneider Family saved wheat beer from extinction. 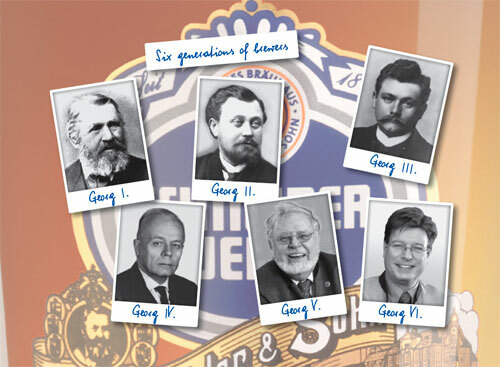 Today, Georg VI Schneider is running the brewery in Kelheim, which the family acquired in 1927 and has remained the Schneider Weisse brewery to this day. It is the oldest wheat beer brewery in Bavaria; wheat beer has been brewed there without interruption since its founding in the year 1607. Georg Schneider I was a tenant of the Königlich Weissen Hofbräuhaus in Munich between 1855 and 1873. 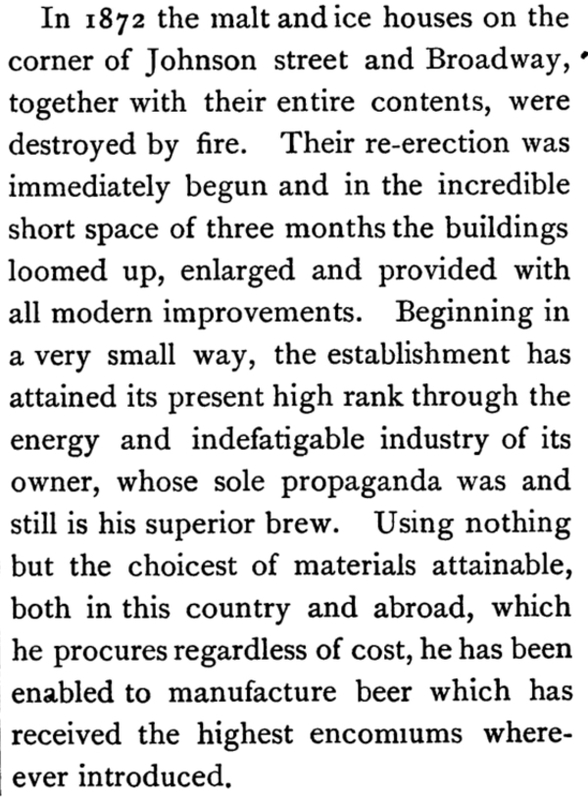 On the basis of the prevailing narrow conditions, the production of white beer was to be abandoned. 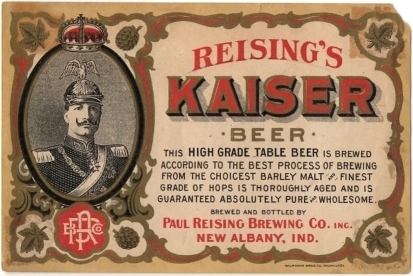 The victory of the lower-fermented beers (at that time known as brown beer) could no longer be stopped in Bavaria. 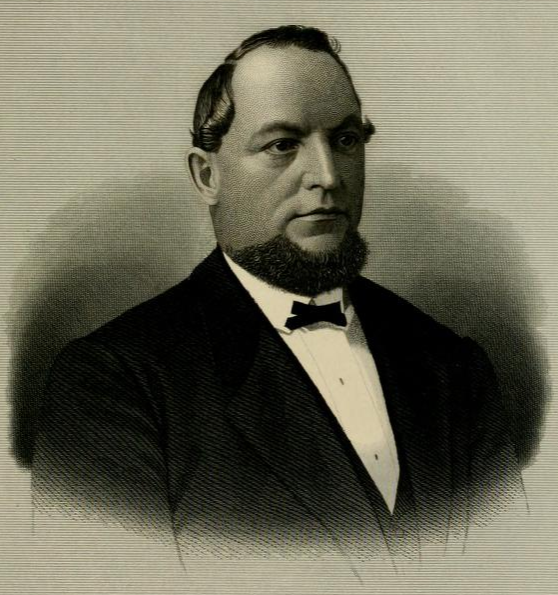 Georg Schneider I believed, however, that the old top-breed brewing method had a future. 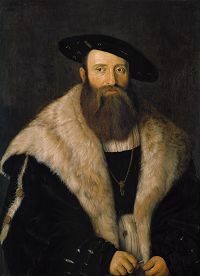 Therefore, during the reign of King Ludwig II, he negotiated with the Bavarian court brethren about the replacement of the Weissbierregal (the right to brew Weissbier). 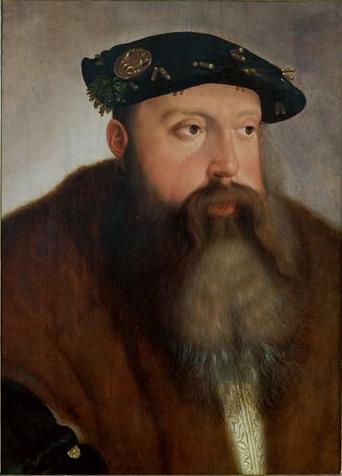 The latter believed that he could give the request, since Weissbier was no longer allowed any chance. At the same time Georg Schneider I had the opportunity to purchase the abandoned Maderbräu. 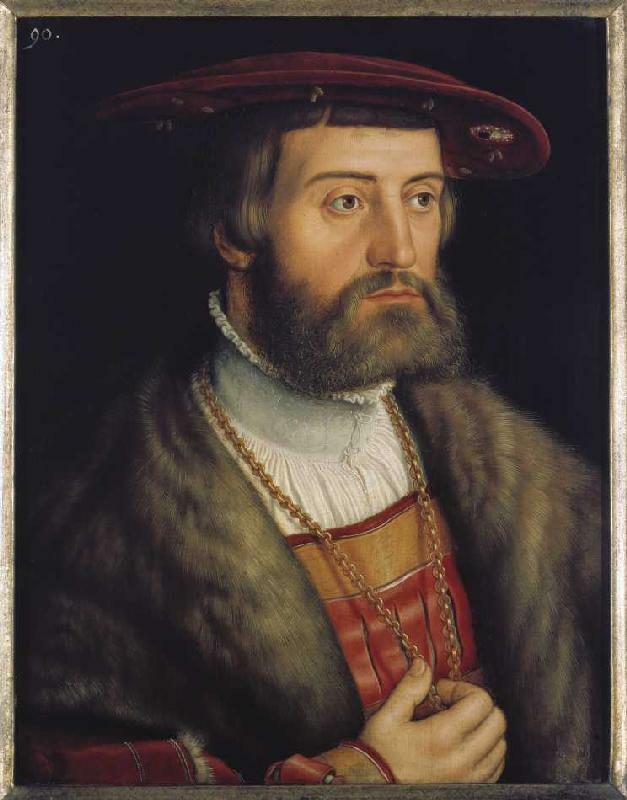 After about a year of conversion, he began to produce his own white beer together with his son Georg Schneider II. 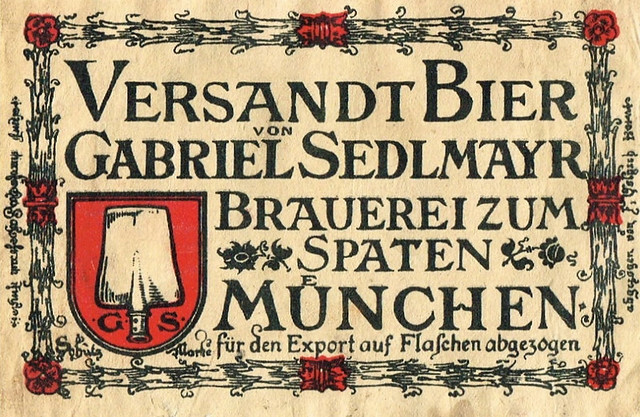 The “Schneider Weisse” was born and the “Weisse Bräuhaus G. Schneider & Sohn” from the original Maderbräu became. Georg Schneider I himself was responsible for the business and found in his wife Maria Anna, born Hettel, an efficient cook and economist. Overall, the acquisition of Georg Schneider I was a speculation with a high level of commitment. The success did not fail. The influx of guests, who wanted to enjoy a “delicious mouth beer” soon surpassed all expectations. George Schneider I is rightly referred to as the Weissbierpionier, who has rescued the superior brewing methods in their original form into modern times. 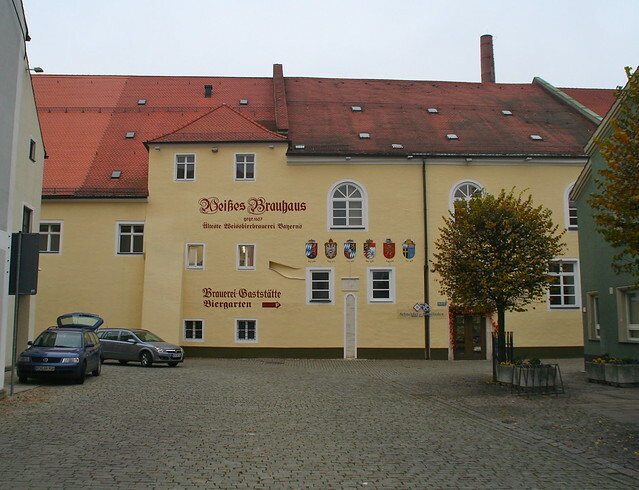 The “Weisses Bräuhaus” in Munich, Tal (or Thal) is the founding place of their brewery. It’s the place where Georg Schneider I brewed his first Schneider Weisse Original in 1872. 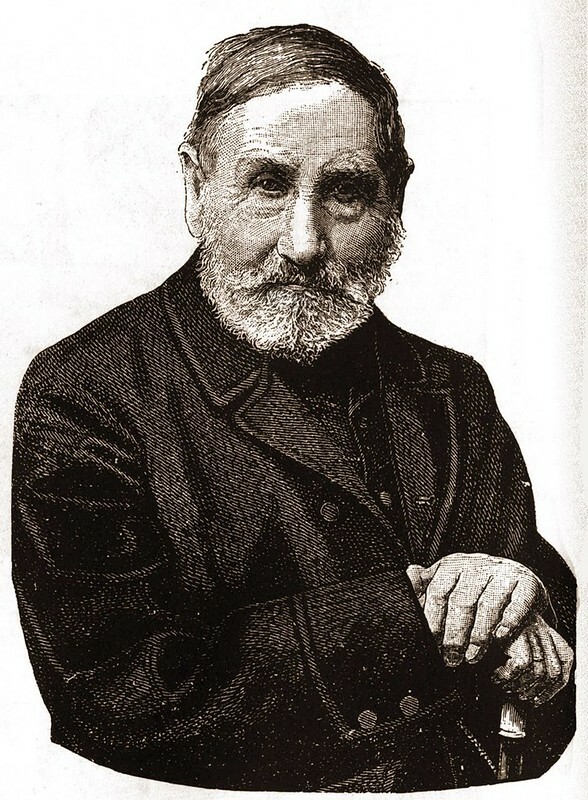 Today is the birthday of Jacob Schmidt (October 8, 1846-September 2, 1910). 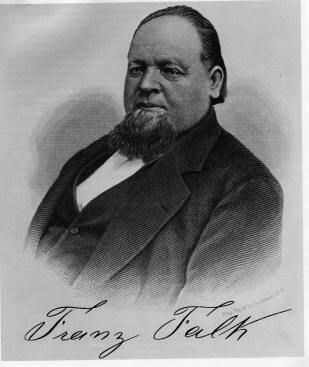 He was born in Bavaria, Germany, but moved to America, worked at breweries in New York and Milwaukee, then settling in Minnesota, in 1866. 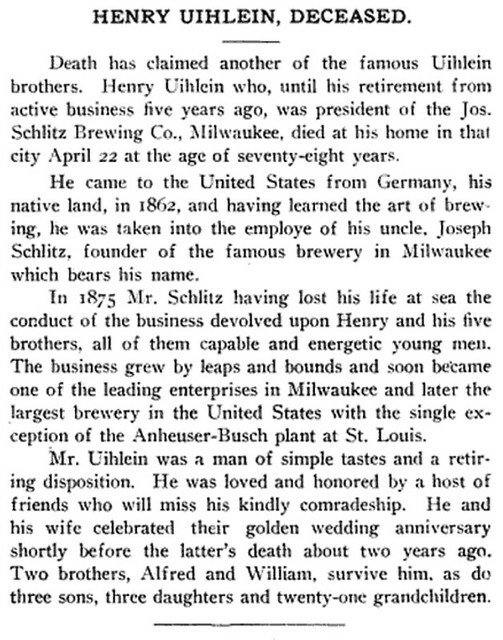 In St. Paul, he was brewmaster at Hamm’s, and later left to brew for August Schell and some breweries in the midwest. In 1884, he returned to St. Paul and bought a 50% share of the North Star Brewery, but it burned to the ground, a total loss, in 1899. With his daughter and son-in-law Adolph Bremer, he acquired the Christopher Stahlmann, Cave Brewery, and in 1900 completely remodeled it turning into the iconic “Castle” brewery with the help of Chicago brewery architect Bernard Barthel. 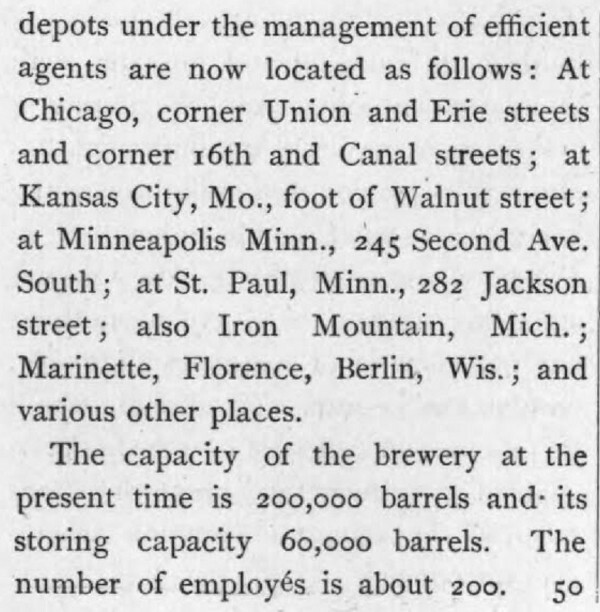 They also renamed it the Jacob Schmidt Brewing Co., and after Prohibition, it became the nation’s seventh largest brewery. The brewery continued until 1972, when the brand was bought by G. Heileman. The Castle brewery in St. Paul was abandoned and only recently was renovated into the Schmidt Artist Lofts. 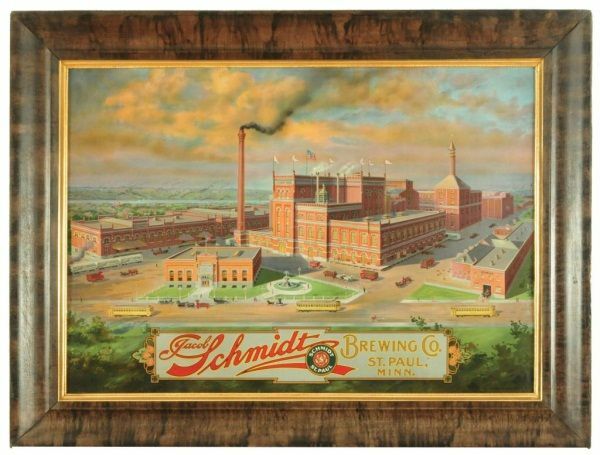 Today the Schmidt Brewery brands are owned by Pabst. Businessman. Born in Bavaria, Germany, he arrived in America at the age of 20 and after working at several breweries for five years, he settled in St. Paul, Minnesota. 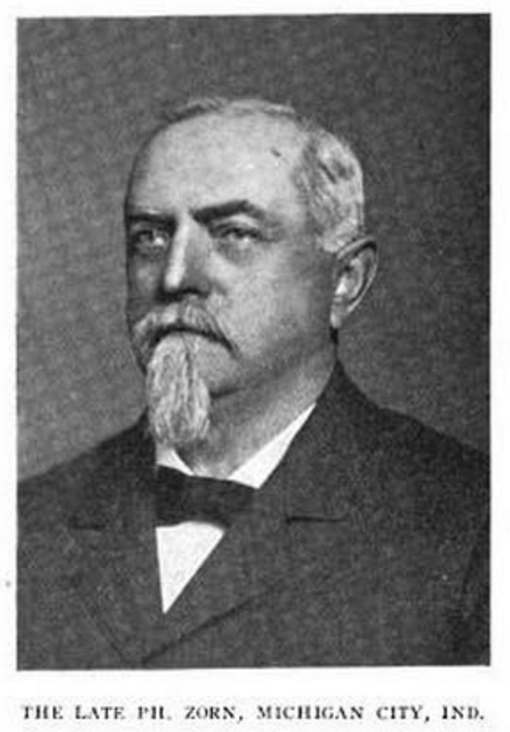 In St. Paul, he was the Brewmaster for the Theodore Hamm’s Brewing Company, when he left this position in 1900, to become owner and founder of the Jacob Schmidt Brewing Company. He became one of the first brewers to sell more than 10,000 barrels in Minnesota, along with being one of the first brewers to bottle his own beer. He died at age 63 in St. Paul, Minnesota. The Schmidt “Castle” brewery in 1905. 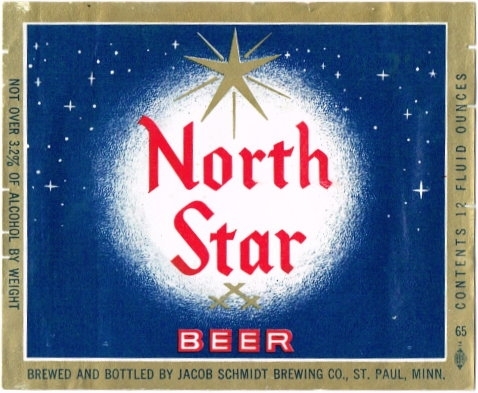 In 1884, Jacob Schmidt moved to St. Paul, Minnesota and purchased a half interest in the North Star Brewery located at Commercial St. & Hudson Rd. 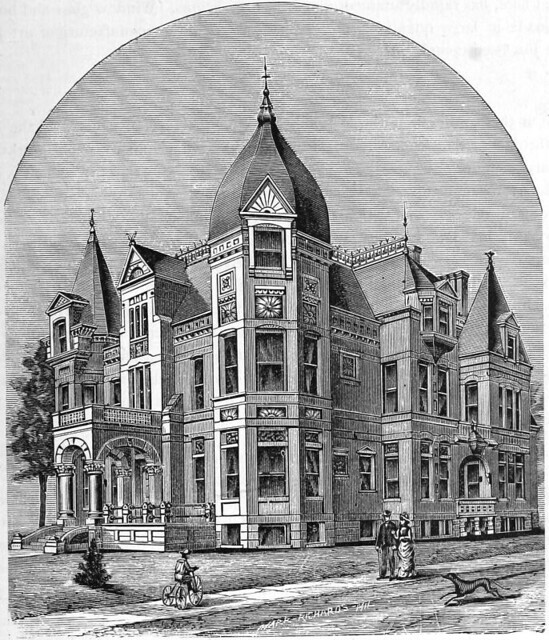 Jacob retired in 1899, turning over the operation to his daughter and son-in-law. 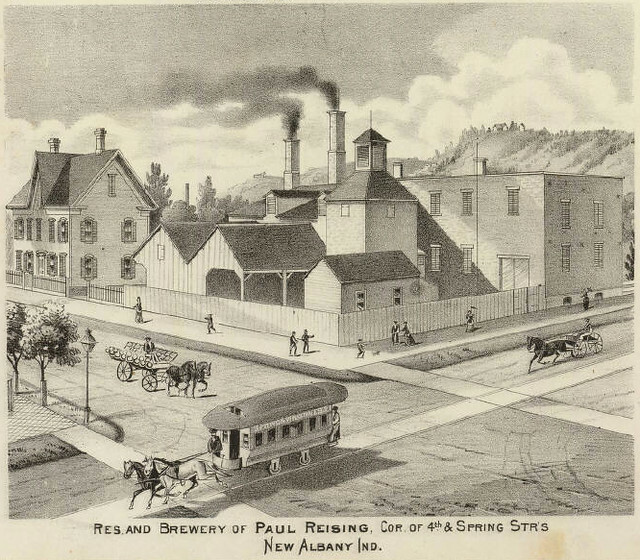 The following year the brewery burned to the ground and a new location was immediately found. 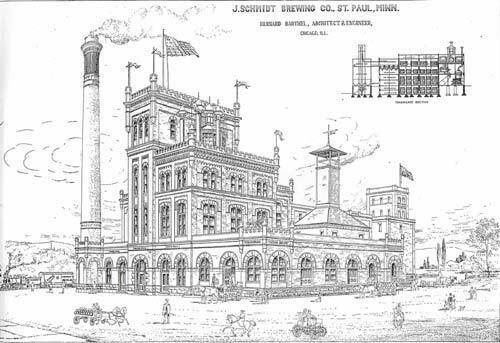 In 1901, the brewery was incorporated as the Jacob Schmidt Brewing Company and a new plant and malt house were erected next to the existing structures. 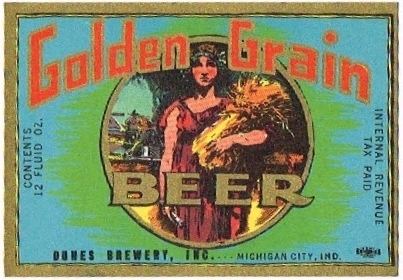 Jacob died in 1910, but the brewery continued to enjoy success until Prohibition struck. 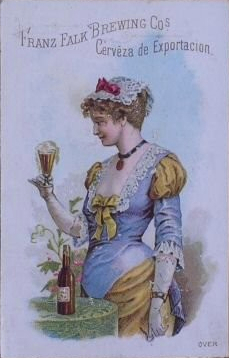 After a failed attempt at producing soft drinks, a non-alcoholic malt beverage was created and became extremely popular. 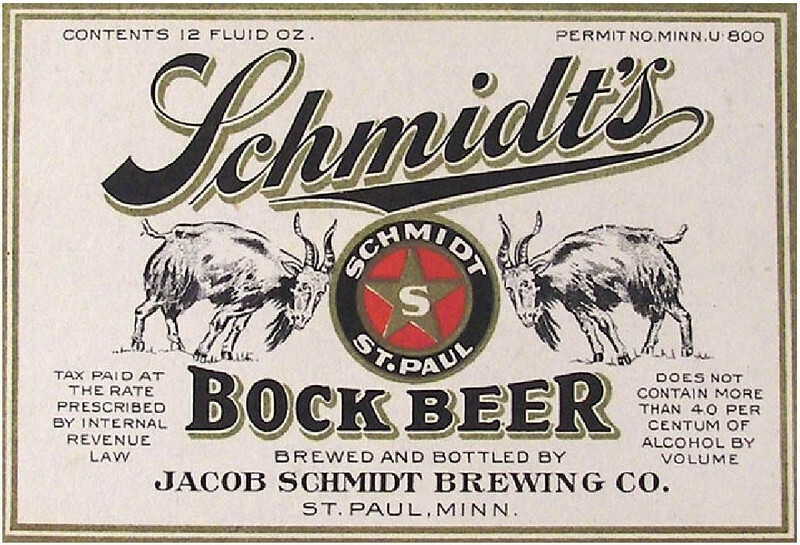 After considerable success following the repeal of Prohibition, the company continued to prosper under the Schmidt name until 1955. Most of the original buildings still stand today, looming proudly above the Mississippi River. 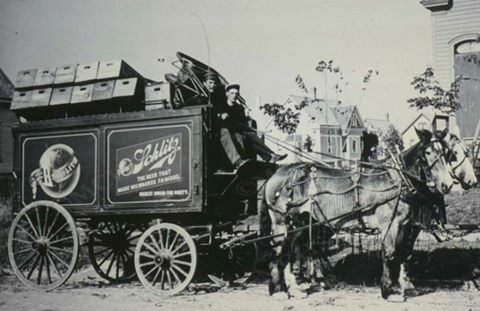 Schmidt beer is known as the “Official Beer of the American Sportsman”…a slogan that capitalizes on the exciting, rugged appeal of the Pacific Northwest. 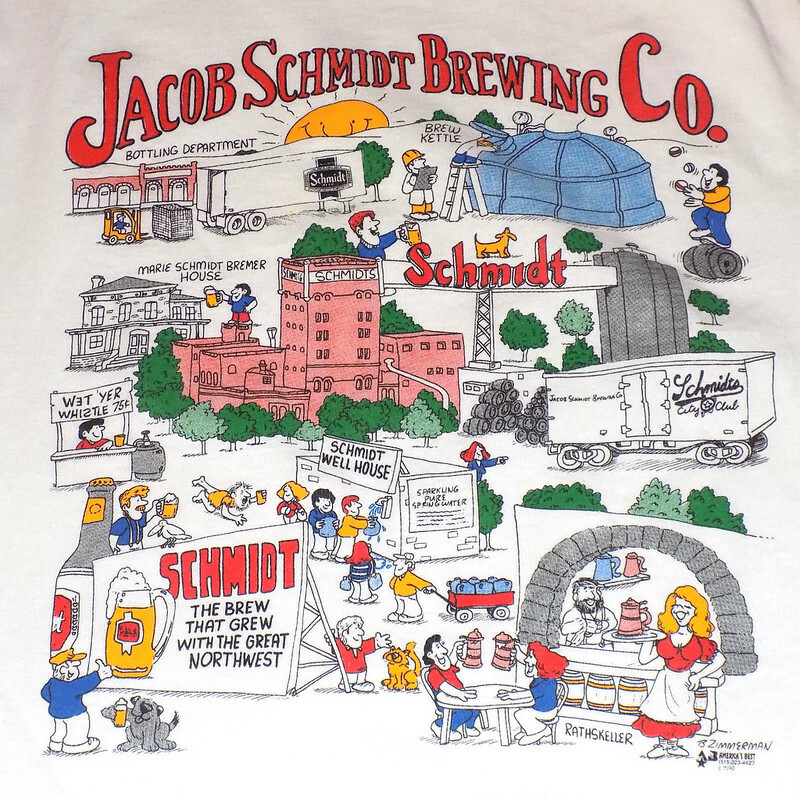 The quality and brewing tradition instilled by Jacob Schmidt, continues today. 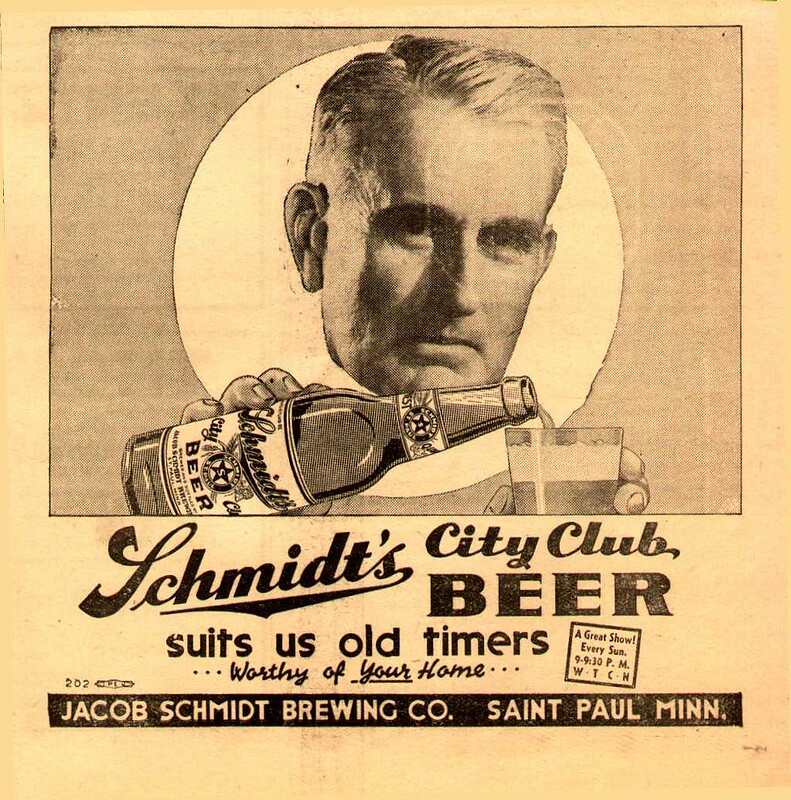 Jacob Schmidt started his brewing career in Minnesota as the Brewmaster for the Theodore Hamm’s Brewing Co. He left this position to become owner of the North Star Brewing Co. 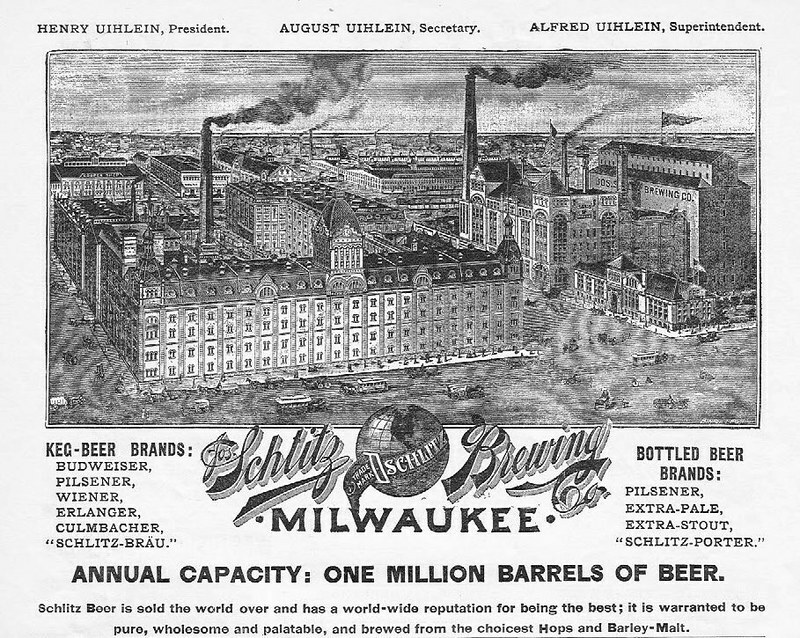 Under Schmidt’s new leadership the small brewery would see much success and in 1899 Schimdt transferred partial ownership of his new brewery to a new corporation headed by his son in law Adolph Bremer, and Adolph’s brother Otto. This corporation would later become Bremer Bank. 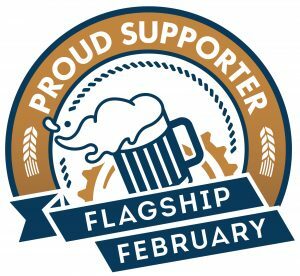 With the new partnership the Jacob Schmidt Brewing Company was established. 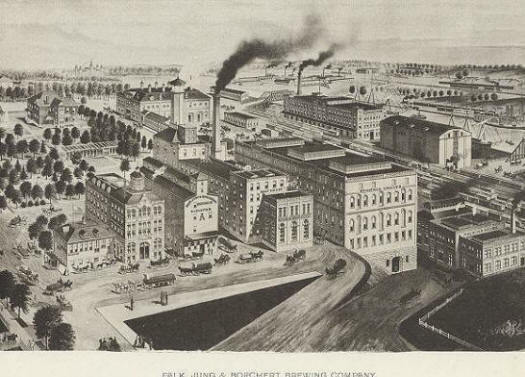 In 1900 the North Star Brewery would suffer a fire that would close it for good. 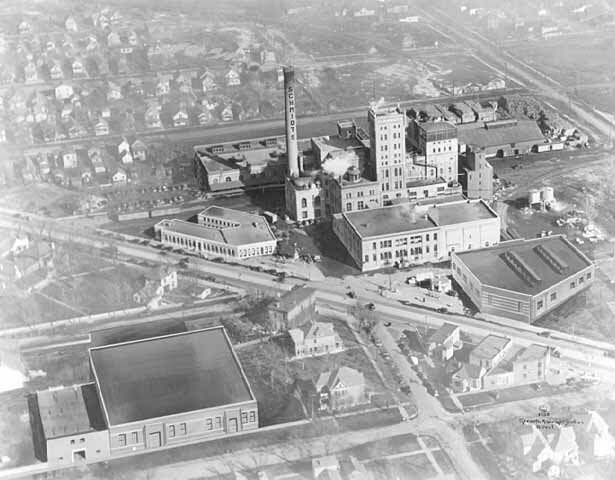 With the new management team in place a new brewery was needed, the new firm purchased the Stahlmann Brewery form the St. Paul Brewing Co. and immediately started construction on a new Romanesque brewery incorporating parts of Stahlmann’s original brewery along with it including the further excavation of the lagering cellars used in the fermentation process to create Schmidt’s Lager Beer. He came to the United States in 1865 at the age of 20 and worked in brewhouses as he moved westward. 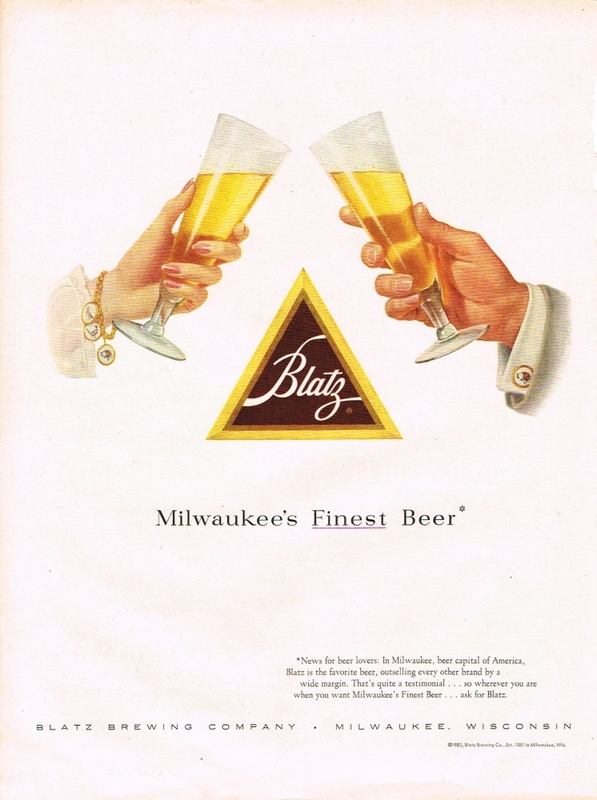 He worked in Rochester, Chicago, and Milwaukee, before coming to Minnesota, where he found a position at Schell’s brewery in New Ulm, before moving to Minneapolis’ Heinrich’s and then to Banholzer’s and Hamm’s of St. Paul. At Theodore Hamm’s brewery, the biggest of its kind in the state, Schmidt became not just the chief brewer, but also a personal friend of the firm’s powerful owner and namesake. 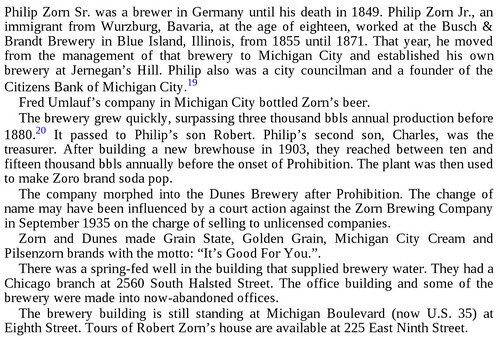 Ultimately, Jacob Schmidt wanted his own brewery. On the other end of Swede Hollow, in 1860, Edward Drewry and George Scotten founded what would become the North Star Brewery, then just called ‘Drewry & Scotten’. 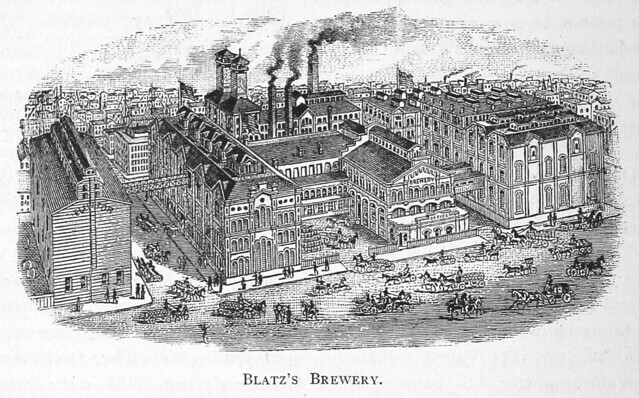 Though it featured a brewhouse large enough to compete with Stahlmann’s operation on the other side of St. Paul, and had adequate—though far from extensive—underground cellars to match, this brewery produced ale, not lager beer, and therefore did not compete with Stahlmann’s brand. 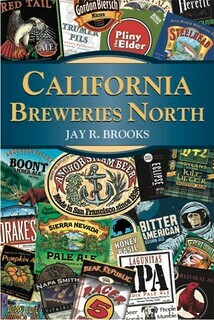 After changing hands several times, it was clear by the early 1880s that North Star required a talented master brewer. 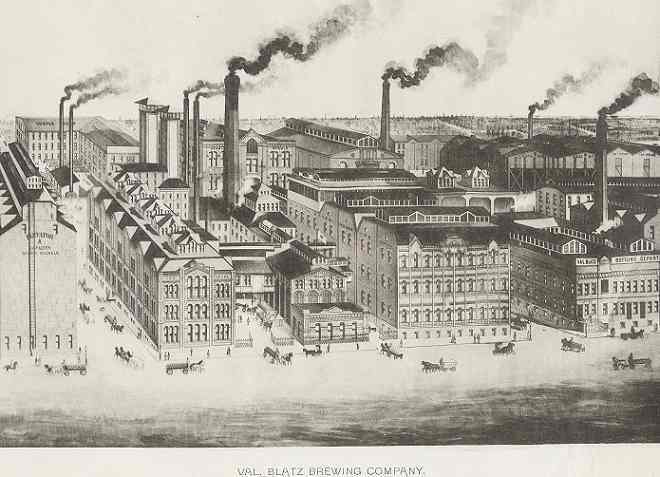 The owners of that humble brewery, William Constans (grocer and brewery supply dealer) and Reinhold Koch (brewer and Civil War veteran), hired Jacob Schmidt, and the former Hamm’s brewer rapidly expanded production below the bluff. 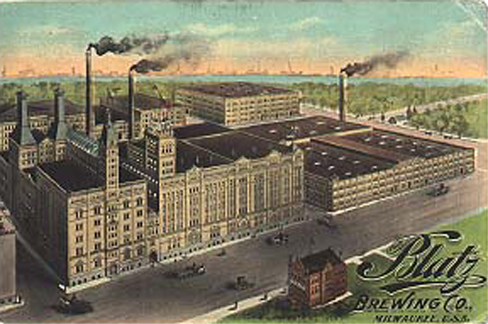 Together, Schmidt, Constans and Koch grew North Star Brewery to the point it competed directly with Hamm’s. In a few years, the Dayton’s Bluff brewhouse became the second greatest producer of beer west of Chicago by some estimates, sending out 16,000 barrels annually as far as Illinois. 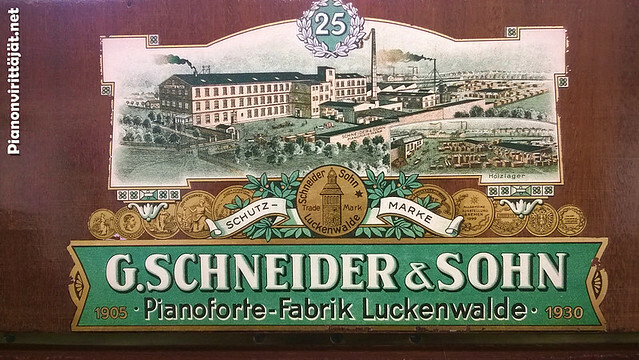 In 1884, Constans and Koch decided to leave the business, thereby leaving Schmidt as sole owner. 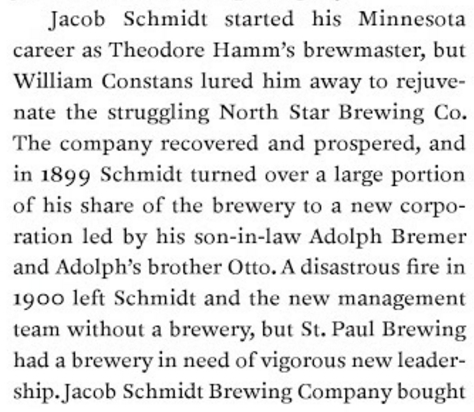 In 1899, Schmidt took down the ‘North Star Brewery’ sign and replaced it with ‘Jacob Schmidt Brewing Company’. The next year, it all burned. Today, all that remains of the brewery are its aging cellars, which are a part of the new Bruce Vento Nature Sanctuary in Lowertown off Commercial Street. 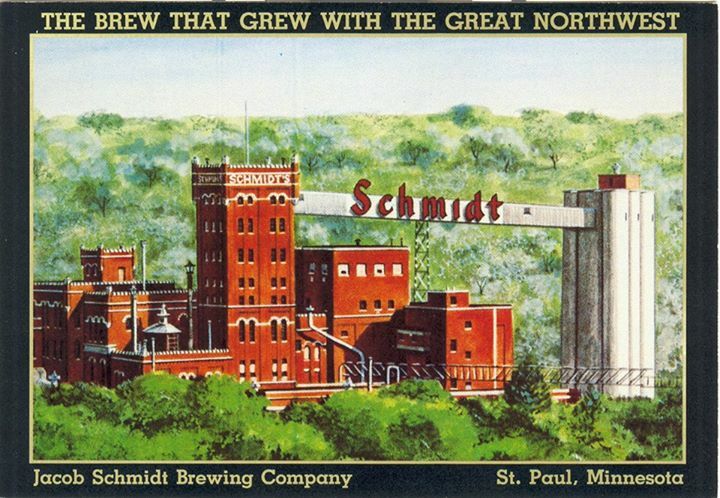 As he considered the cost of rebuilding, Schmidt received a proposal from St. Paul Brewing: they wanted to sell him their troubled brewery. The brewmaster accepted the offer and moved his operation into the former Cave Brewery, which had been only slightly modified since Stahlmann built it almost 50 years prior. Facilities were inadequate, but he would fix that. Interestingly, Jacob Schmidt had all the bottles salvaged from the ruined brewery shipped to his new location. The glasses still bore the mark of the North Star brand, a large five-pointed star—a feature the brewer would ultimately opt to keep. 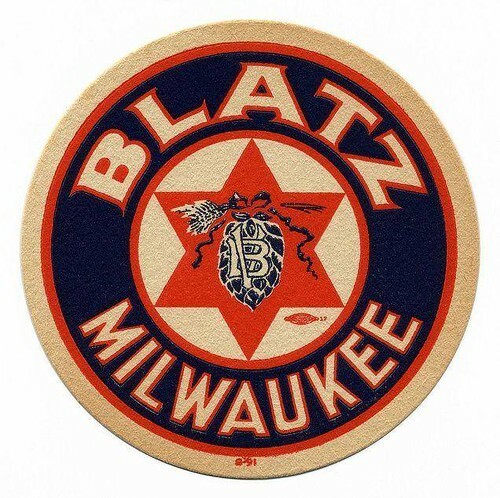 Stars cover the Schmidt brewery to this day, in signs and ironwork, hearkening to Jacob Schmidt’s time at, and the destruction of, North Star Brewery. Observing the lowly state that Stahlmann’s brewery was in, Schmidt hired a rising Chicago architect, Bernard Barthel, to design a totally new complex to replace what was left of the Christopher Stahlmann Brewing Company, and St. Paul Brewing Company’s brash modifications to it. It would be medieval on the outside, but totally modern and streamlined inside. Soon, imposing red brick towers were rising on Fort Road, with obvious influences borrowed from feudal era castles, replacing the modest remains of Cave Brewery. 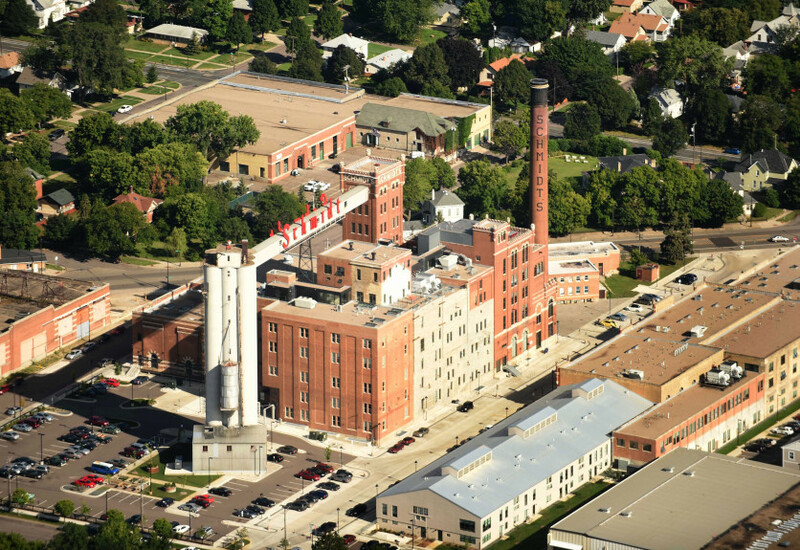 Construction of Jacob Schmidt Brewing Co. was completed in 1904, followed in the next decade by its more significant outbuildings, notably ending in 1915 with the Bottling Department. 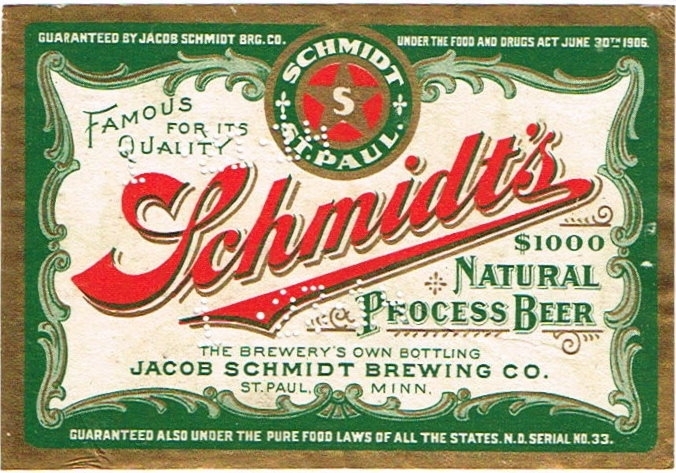 Schmidt beer was some of the first to be bottled on-site in the state. The new brewery complex was designed to compete with the biggest brewers in the country, and it did. 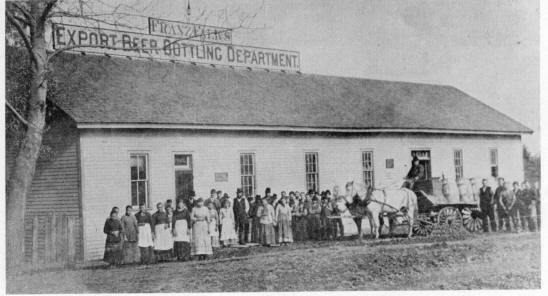 When Jacob died in 1911, his brewery was an icon of the West Side and the employer of more than 200 people. More importantly, the beer continued to flow, unlike the bust that followed the Stahlmanns. 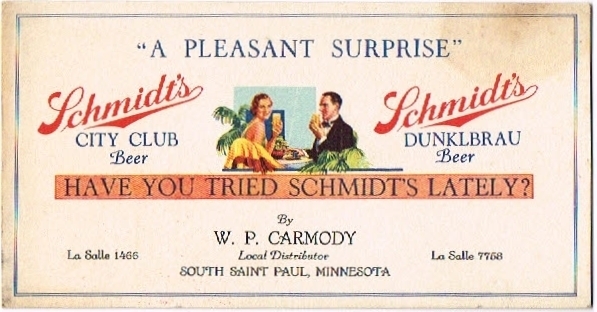 Though the man himself was gone, the name Schmidt was becoming ever more prominent across the country. 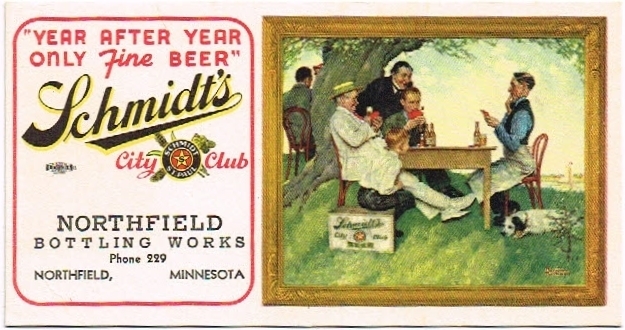 Schmidt’s also hired famed artist Norman Rockwell to do one of my favorite pieces of advertising art for them. It’s a pretty awesome piece, but not the only work in beer he did. 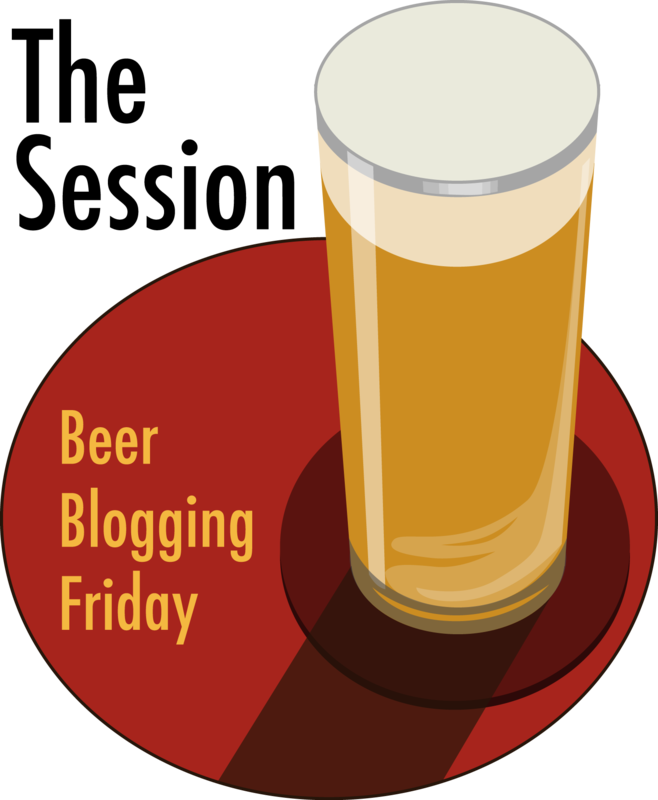 For more, see Norman Rockwell’s Beer. 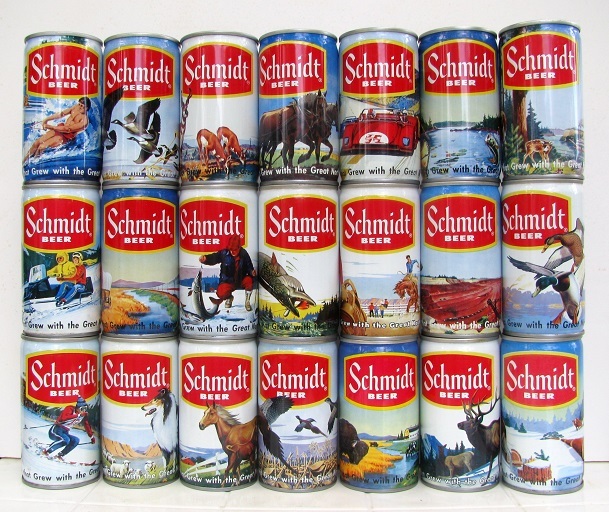 The thing I personally remember about Schmidt’s was their collectible cans which were all over the place when I was a kid. 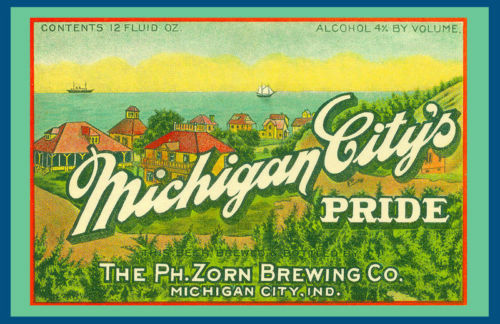 There was a seemingly endless variety of their can designs, and I have read that it really helped keep the business afloat, at least for a time. Today is the birthday of Henry Uihlein (May 13, 1844-April 22, 1922). 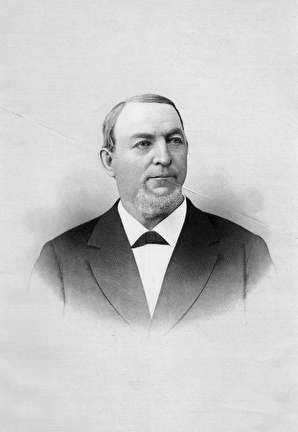 He was born in Bavaria, but moved to the U.S. when he was eighteen, in 1862, having learned the brewing trade in Germany. 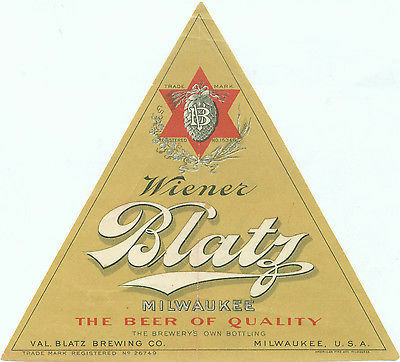 He joined his uncle, August Krug, and his brothers, working for the Joseph Schlitz Brewing Company. 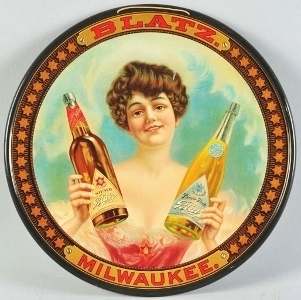 He was president of Schlitz from 1875 until he retired in 1916. This is the only photo I could find of Henry, in this Uihlein family photo from the early 1880’s – bottom row, from left; Charles, superintendent of the bottling works; Edward, vice president in charge of developing the Chicago markets; Henry, president. 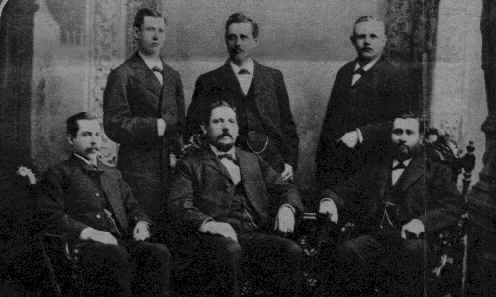 Top row, from left; William J., assistant superintendent of the brewery; Alfred, superintendent and brewmaster; August, secretary and chief operating officer. 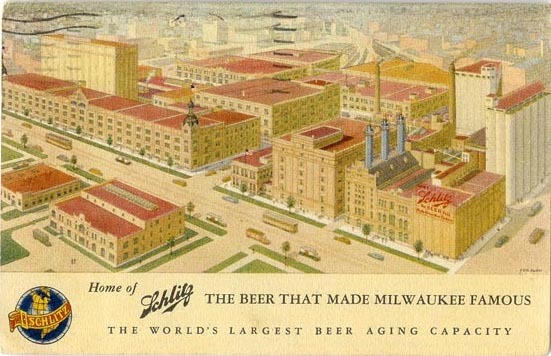 This Schlitz ad is from around 1900, when Henry was president of the brewery. 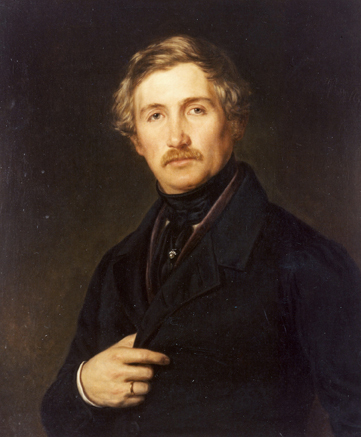 Henry Uihlein was the second eldest of six sons of Joseph Benedict Ühlein and his wife Katharina Krug born in Wertheim, the restaurant, the Gasthaus zur Krone operated. 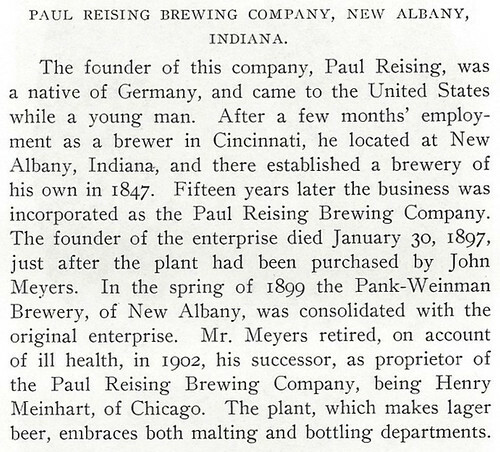 In Bavaria, Henry Uihlein learned the brewing trade before emigrating to the United States in 1862. 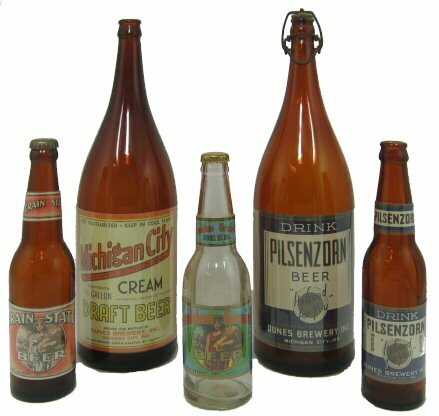 There he worked for several years for various breweries in St. Louis and for the Kunz Brewing Company in Leavenworth. 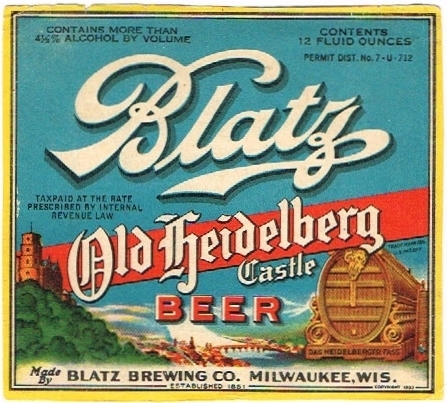 In 1871 he moved to Milwaukee and began working with his brothers August, Alfred and Edward for the Joseph Schlitz Brewing Company. Henry’s brewing expertise contributed significantly to the company’s success. 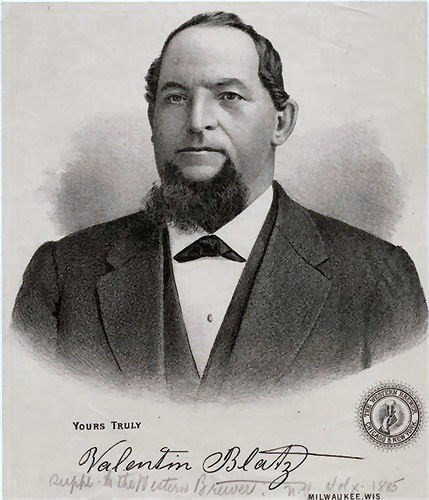 He led the company between 1875 and 1916 as president. He also worked in finance, real estate and other industries.